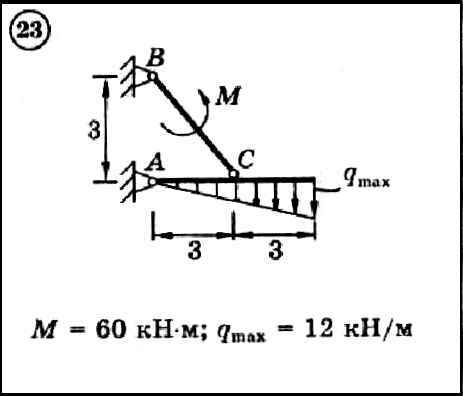 For the composite structure shown in the diagram, find the reactions of the supports. The dimensions are in meters. The weight of the elements of the structure is neglected.